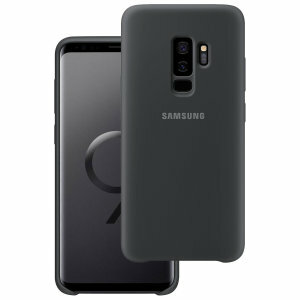 Shop online for the perfect Samsung S9 Plus case today from the UK's number 1 supplier of mobile accessories. 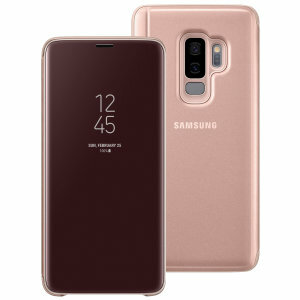 Our huge selection of Galaxy S9 Plus cases includes genuine leather cases, and our ever popular clear cases to suit your taste and sense of style. 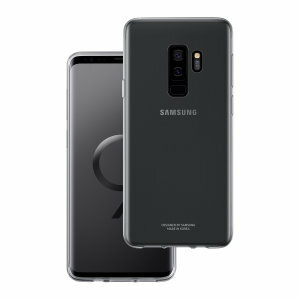 The Galaxy S9+ boasts awesome optics as well as a better-placed fingerprint sensor and more powerful internals than its predecessors. Here you'll find everything you need to know about choosing the perfect S9 Plus case. We'll cover the best brands to look out for, must-have features and the differences in materials. We'll also cover some of the most common questions that case buyers have. Let's get started! There are hundreds of cases available for the S9 Plus , and potentially thousands more will crop up over the phone's lifetime. That can make it tricky to find the case you want, so we recommend checking out some of our favourite brands. 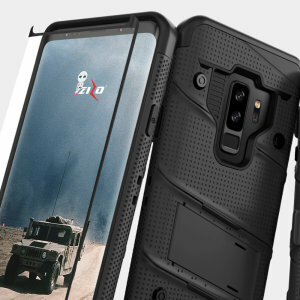 On the official side of things, Samsung's official cases are some of the best on the market. 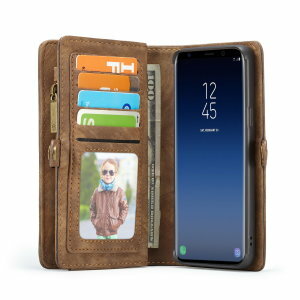 Whether you want something slim and stylish or big and protective, Samsung have it covered. 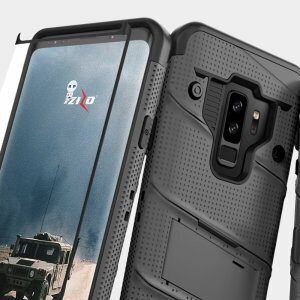 There are plenty of good third-party case makers too. 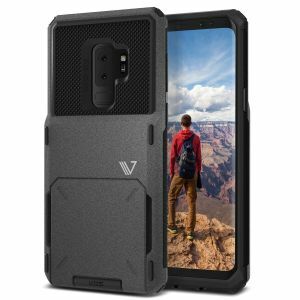 Those with the best reputation are GHOSTEK, LifeProof, OtterBox, Olixar, Spigen, UAG and VRS Design. 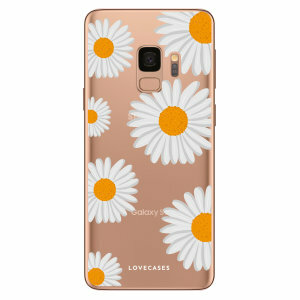 Of course, great cases can come from other manufacturers too, and we'll aim to include as many examples as we can. 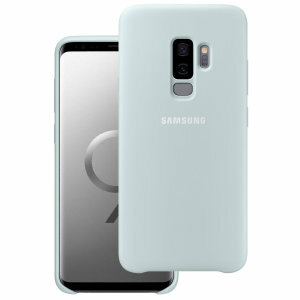 Here are some of the most important features you'll find on Galaxy S9+ cases: Stand: these cases will include a folding or flip-out stand, allowing your phone to rest in landscape position so you can watch videos and more. Wallet: these cases allow you to keep cash, cards and other important small documents close at hand. 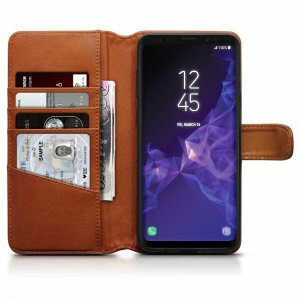 While folio wallets are most common, an emerging category of cases includes hidden storage in the back. 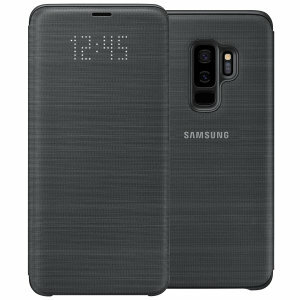 LED: these modern cases have LEDs embedded on their front covers, showing you the time and notifications while keeping the screen protected. 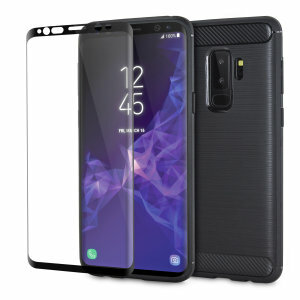 Clear View: an alternative to LED cases, Clear View cases use a transparent cover so you can see your phone's notifications even when the case is closed. Keyboard: want to write faster and more comfortably on your phone? These unique cases add a hardware keyboard for a better typing experience. 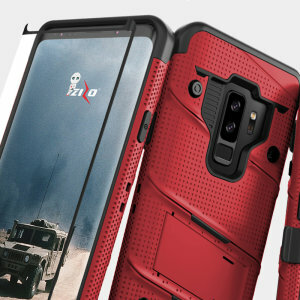 Survival: these cases are designed to offer a hidden edge in a variety of situations. A built-in toolkit allows you to cut, measure, unscrew and generally MacGyver your way out of trouble. 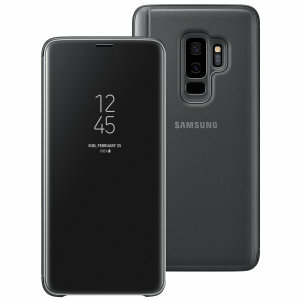 Here are the most common types of cases on the market. 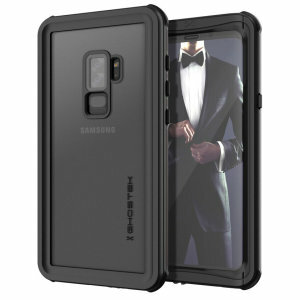 Choosing your case type is one of the easiest way to narrow down your options, so it's worth thinking about early on in the case buying process! 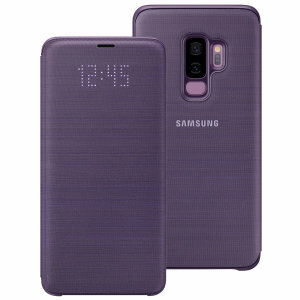 Standard: these cases use material on the back and sides of your phone, leaving the screen free so you can use it easily. Normally, a lip will extend around the perimeter of the screen to prevent damage. 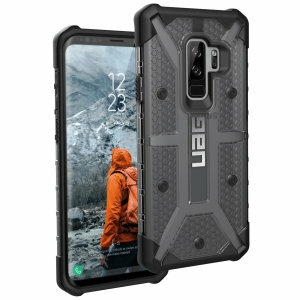 Thanks to its simple design and easy accessibility, these cases have become the default choice for many users. 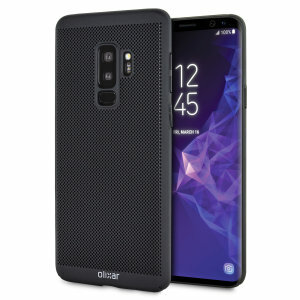 Bumper: bumper cases are essentially standard cases without the back panel, protecting the corners of your Galaxy S9+. This approach results in cases that are lightweight and stylish, without losing much protection. 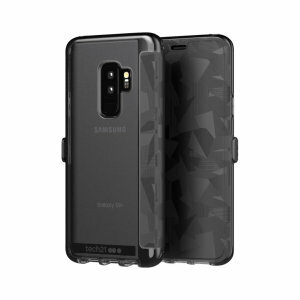 Tough: just as the word suggests, these are the best cases to choose if you want your Galaxy S9+ to remain in one piece despite drops, knocks, scratches or other potential hazards. 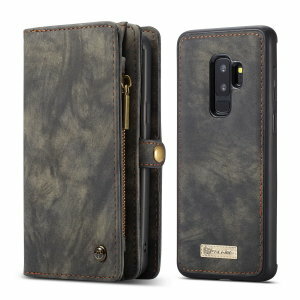 Thin: these cases emphasise a slim physique, resulting in a stylish look that fits easily in your pocket or bag. 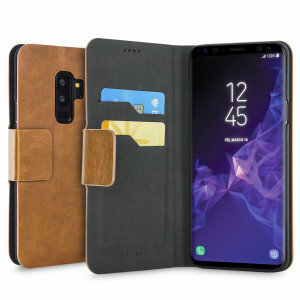 Folio: these classic cases protect each side of your phone, with an added front cover that protects the screen (and often provides space for credit card storage). 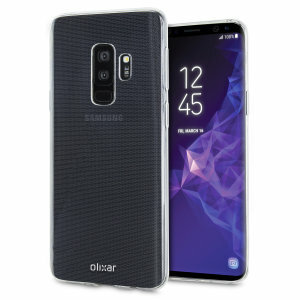 These cases are a bit bulkier than their peers, but remain popular regardless. 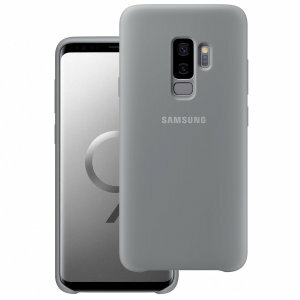 Pouch: unlike most other cases, pouches aren't designed to be worn while your Galaxy S9+ is in use. 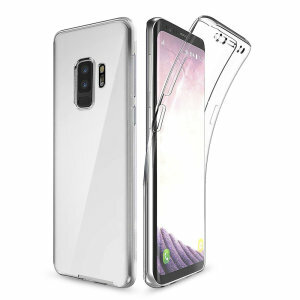 Instead, you'll take the phone out of the pouch, use it caseless, then replace it when finished. 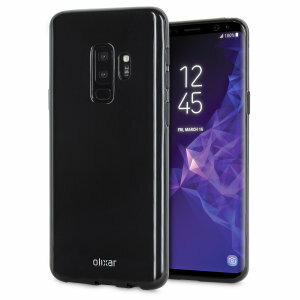 This suits occasional smartphone users and allows for universal designs that can work with many different smartphones. 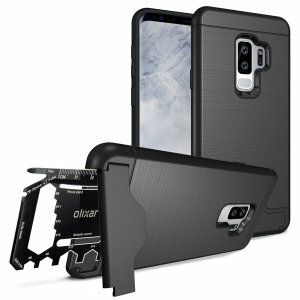 Thanks to the miracle of modern engineering, you can find cases made from all sorts of stuff. 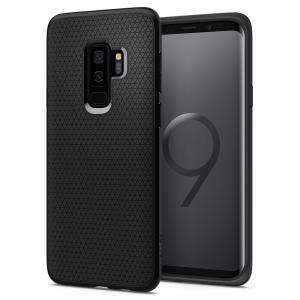 Here are the most common materials for Galaxy S9+ cases, plus what they're good for. 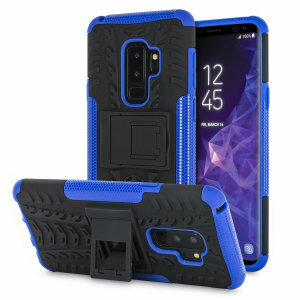 Silicone / gel / rubber: these soft and flexible cases are easy to install, provide good grip and are usually inexpensive too. Polycarbonate / TPU: these are the most common plastics used in case making, thanks to the ease with which new designs can be made in multiple colours and styles. 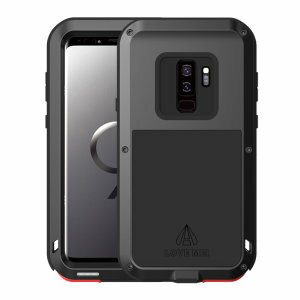 Polycarbonate is generally harder and TPU is softer, but both provide excellent protection -- especially when combined together. Leather / leatherette: whether you choose genuine leather or the synthetic alternative, you can expect a soft feel and hard-wearing durability in classic colours like brown, black or red. These cases tend to be a little bulkier than plastic alternatives, although good design can minimise this feeling. 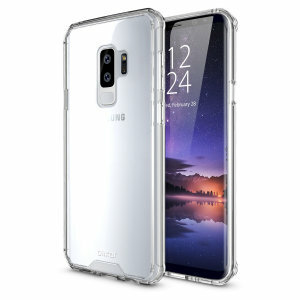 Aluminium / metal: these cases look great, but metal can have an adverse effect of wireless signals. 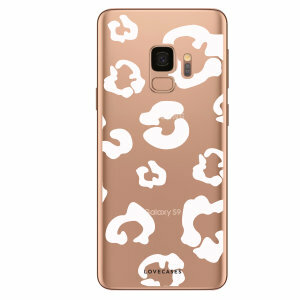 That requires clever design to overcome, but you get stylish cases with impressive rigidity in exchange. Sometimes an aluminium alloy is used alongside plastic for a best-of-both-worlds combo. 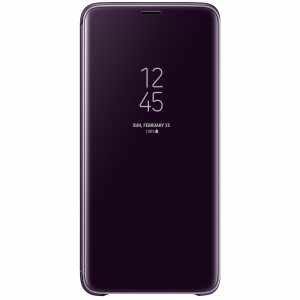 Wood: if you want your Galaxy S9+ to feel a little more natural, then wood can be a nice choice. These rare cases are inflexible and difficult to produce, but look uniquely splendid and last a long time too.